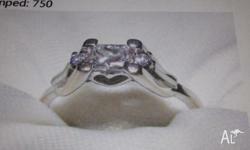 This is a great bargain. 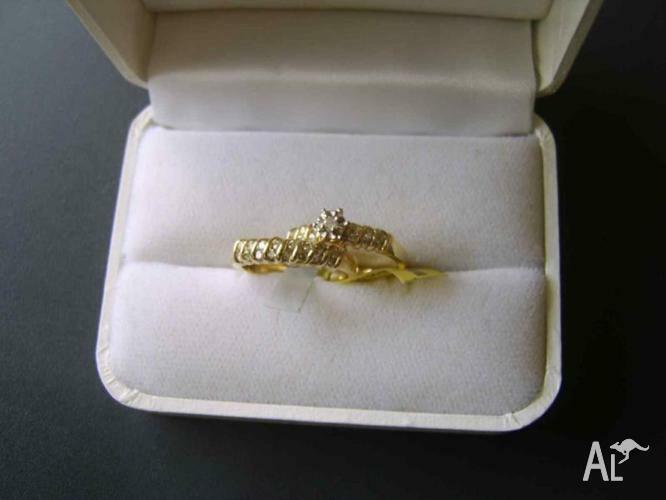 Absolutely beautiful, rich Yellow Gold & Diamond Engagement and Wedding Ring Set. 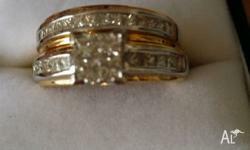 Engagement Ring has 12 Diamonds; 6 on either side of center 3/4 carat Diamond on a raised setting with beautiful clasps, Easily resized if needed. 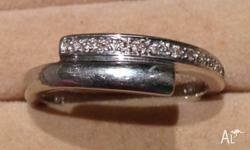 Wedding ring has a surround of 16 Diamonds in an unusual scroll setting. 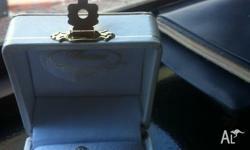 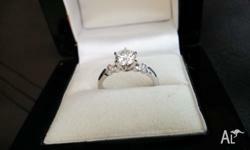 perfect condition, beautiful diamond ring, never be worn comes with valuation certificate.